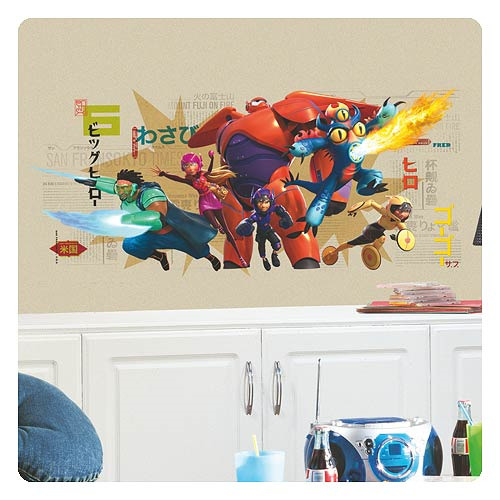 Surprise the Big Hero 6 lover in your home with this Big Hero 6 Marvel Giant Wall Graphix! Perfect for giving a room an animated look for an affordable price, this wall graphix is easy to apply to the surface. Remove the wall graphix from the sticky backing and apply to your desired surface. Completely reusable, these wall decals are the perfect way to brighten any room! Measures approximately 39-inches wide x 17-inches tall. Ages 4 and up.